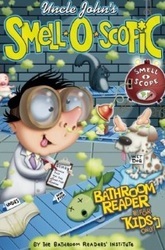 Uncle John's Bathroom Readers FOR KIDS! Kerry Halls also contributed to the creation of several of my submissions and was brilliant. 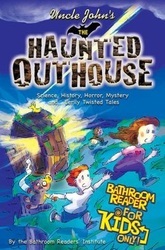 Two of the three books should be available in the summer and fall of 2012. The third, I'm guessing in the winter or spring of 2013. 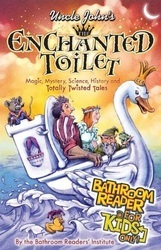 They are perfect for kids -- especially reluctant readers -- 9 and up. 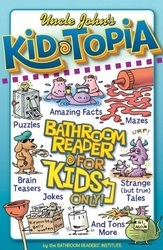 If your kids love the Ripley's books or the Guiness Books of World Records, they'll love Uncle John's for Kids. Trust me. I love them all, too.